Nevill Keating Pictures was founded in the 1970s by Lady Angela Nevill and William Keating, her late husband. Based in an early 18th Century house in historic Pickering Place, St. James’s, Nevill Keating Pictures has decades of experience at the highest levels of the international art market which enables us to provide our clients with the best possible advice on all aspects of collecting. Acting for our clients worldwide as highly confidential agents, advisors and dealers, we specialize primarily in Impressionist, Nineteenth and Twentieth Century, Post War and Contemporary European and Australian paintings, sculptures and works on paper. We enjoy the confidence of numerous long-standing private clients and, having sold important works of art to many prestigious international museums and institutions, we also welcome clients new to the art market who are interested in starting a collection. 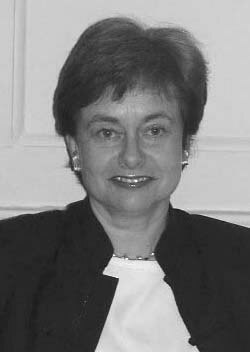 Angela Nevill was Chairman of the Society of London Art Dealers (SLAD) 2001-2005. SLAD represents Fine Art Dealers throughout the United Kingdom. She remains on the Committee as a Special Adviser. Angela Nevill is the Chairman of the Limnerslease Project Appeal Committee at the Watts Gallery in Surrey.